The Poptata story began in a makeshift gazebo on Portobello Road Market during the early summer of 2015. Setting up amidst the hustle and bustle of the other colourful food stalls, Marco and Luca (the minds behind Poptata) looked at each other and smiled, sensing that their idea really was going to fill an exciting niche. It was the height of London’s casual dining revolution, and the pair had the brainchild to forge a brilliantly simple new strand within the emergent street food scene, which was opening up genuinely good food on the go to generations bored with the rigidity of sit-in restaurants. With more than 14 years experience in the Luxury Hospitality Industry, Marco and Luca decided to go back to basics and came up with a plan to offer Londoners something familiar and comforting, yet done in a very different way. 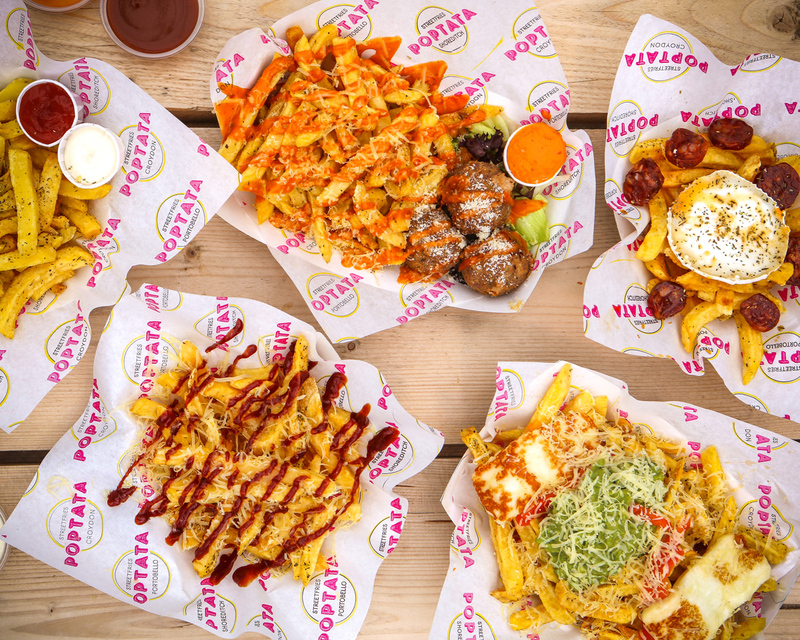 Taking one of the best loved beacons of British culinary tradition, the (Italian pair) stole a march on their homegrown rivals and decided to celebrate the humble Chip. 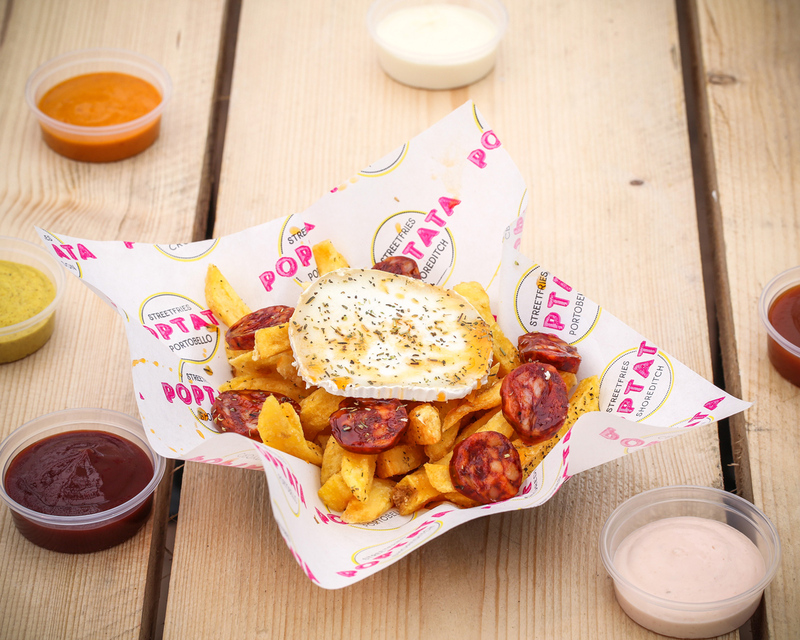 And Poptata was born, heralding the arrival of London’s best-ever-snack-time-favourite – STREET FRIES! Only the finest spuds are used at Poptata. We source from British farmers, and the best potatoes money can buy. Not too waxy. Not too floury. The type of potato we use varies slightly, depending on the season, but only the best will do. Once the best tubers are selected, we peel and cut them by our very own hands and then fry them twice at different temperatures. 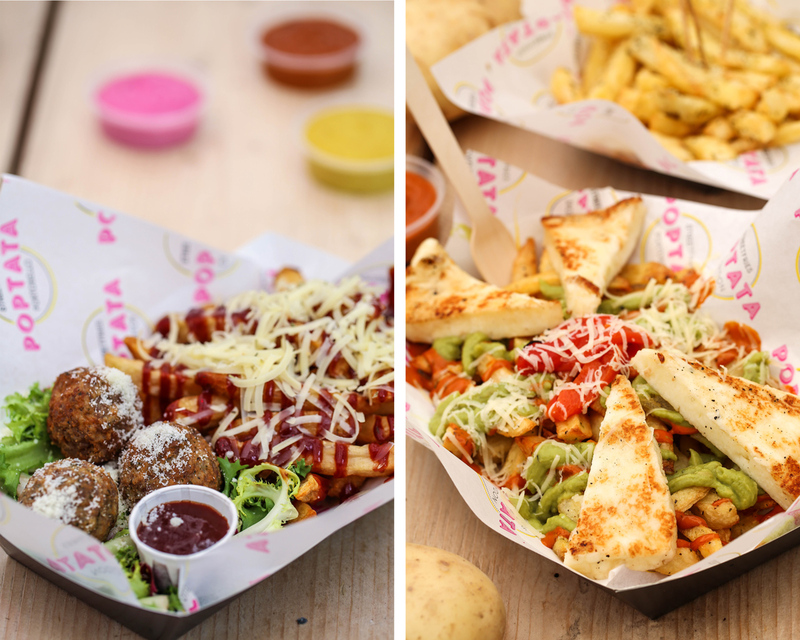 Double frying gives them that crunchy exterior and fluffy, well-flavoured interior which defines our CLASSIC FRIES, which we serve with a range of signature dips and sauces. Our Fries are ALWAYS finished with our mouthwatering herbal seasoning and ALWAYS served in bespoke cones. We provide catering for all sort of events or festivals. 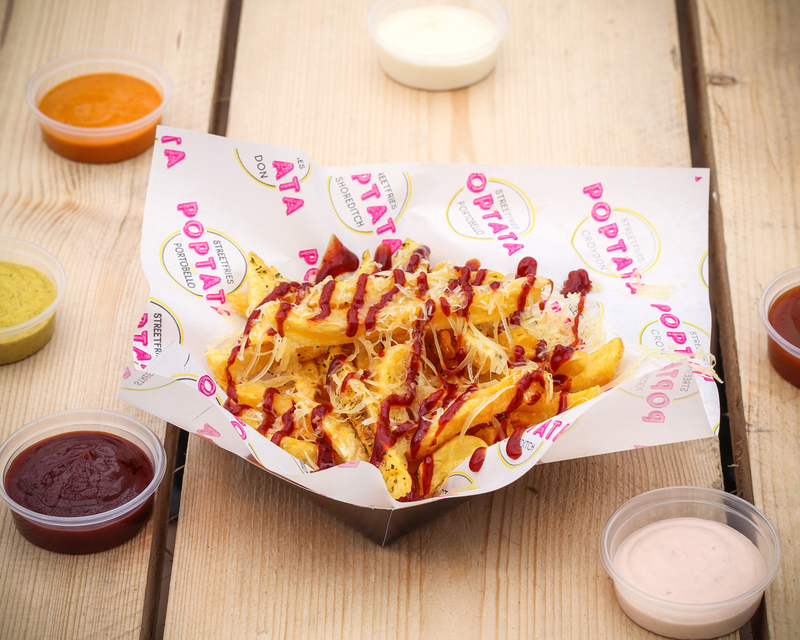 At Poptata we source our potatoes from British farmers and use only the finest spuds, not too waxy and not too floury. Our Fries are made from FRESH CUT premium quality potatoes.